Multi-Purpose Revolving Storage Organizer Just $13.49! Down From $44.99! Ships FREE! You are here: Home / Great Deals / Multi-Purpose Revolving Storage Organizer Just $13.49! Down From $44.99! Ships FREE! GearXS has this Multi-Purpose Revolving Storage Organizer on sale for $13.49 (Reg. $44.99) when you use promo code MOM at checkout! 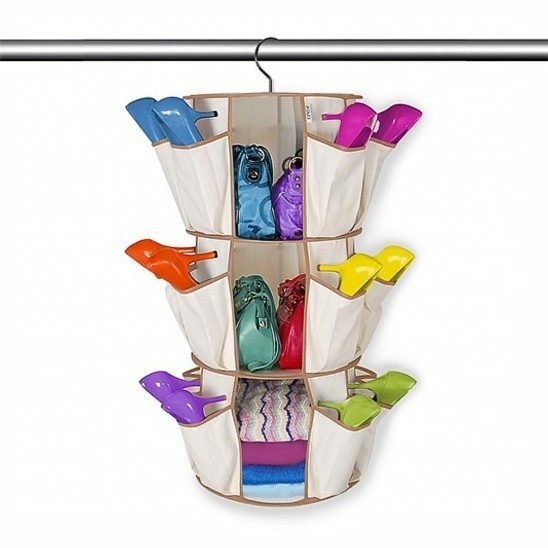 Quickly add extra storage space to any room with this Multi-Purpose Revolving Storage Organizer with Hanging Hook. Featuring a breathable cloth organizer with a tension steel loop frame, 3 shelves and 24 pockets, you will free up tons of floor and shelf space in your closet or storage area. Great for storing shoes, boots, hats, gloves, arts & crafts and more, the organizer can spin 360 degrees and folds flat for fast and east storage.